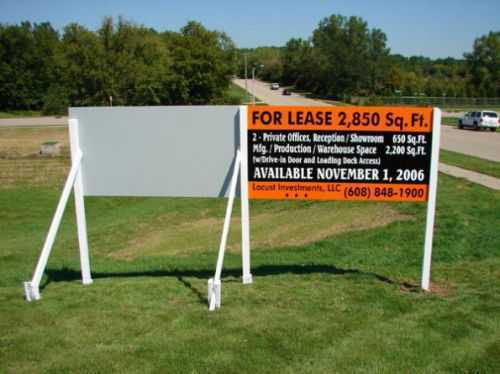 High quality custom real estate yard signs can bring in the buyers or renters. See more of our site signs here. Service Area: Madison, De Forest, Sun Prairie, Waunakee, Stoughton, Monroe, Edgerton, Cottage Grove, Brodhead, Marshall and surrounding communities.